4 Bdrm Detached Farm House in approx 2 acres. Ground flr: Porch. Reception hall. Lounge. Dining rm. Bdrm. Bathrm. Dining kitch. Utility rm. Boiler rm. 1st flr: 3 Bdrms. Attic rm (CT band - F). Garden. Parking. 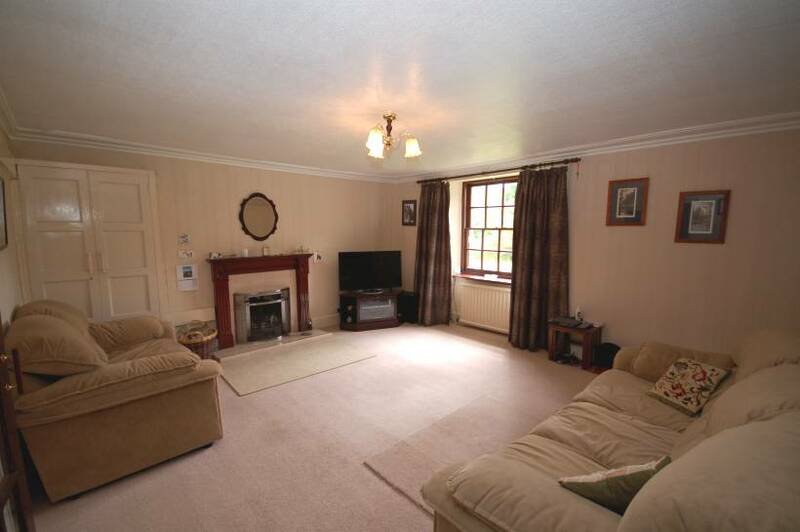 Price over £495,000 Entry by arr. Viewing contact solicitors. (EPC band - E). 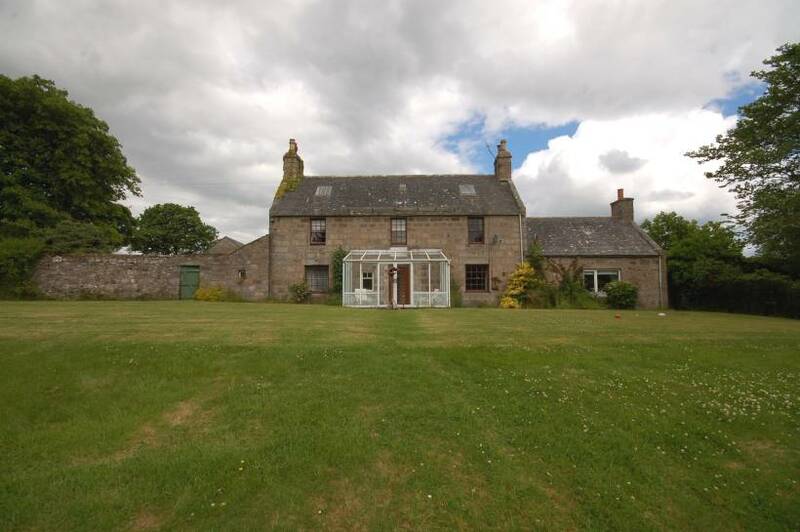 This is a Unique opportunity to purchase a 18th Century Detached Granite Farmhouse set in approximately two acres of land with South facing front garden and open country views. Access to the property is via a private access road leading to the rear courtyard where parking is available for several cars. Access to the front of the property is located through two side access gates to the secluded south facing front garden. The accommodation includes an Entrance Porch; Reception Hallway; spacious Lounge with open coal fire; well proportioned Dining Room; very spacious Dining Kitchen, which leads to an Attic space which could be converted into an additional Bathroom, En Suite or Study. 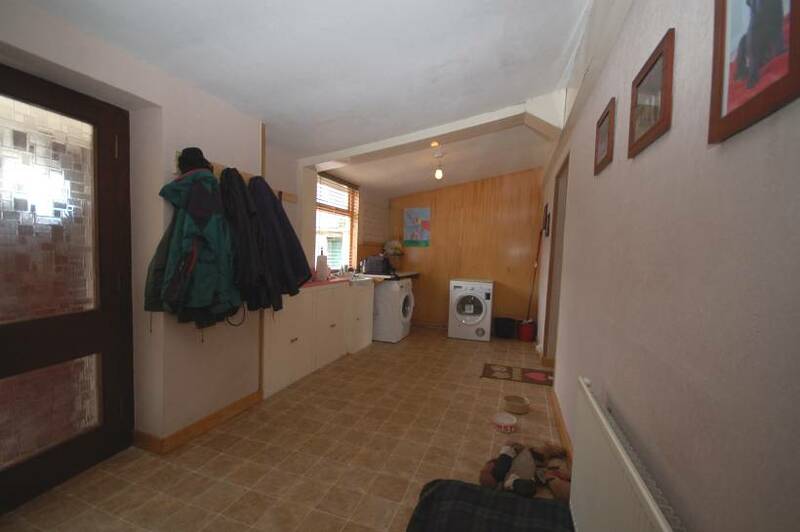 Ground floor Double Bedroom; Family Bathroom; Utility Room; Rear Porch and Boiler Room complete the accommodation. The Upper Hallway leads to a well proportioned Master Bedroom; two further Double Bedrooms, one of which leads to the Minstrel Gallery. From the Upper Hallway there is access to two further Attic rooms which could be easily converted into further bedroom accommodation. Externally to the rear there is an attached coal shed offering excellent storage space. 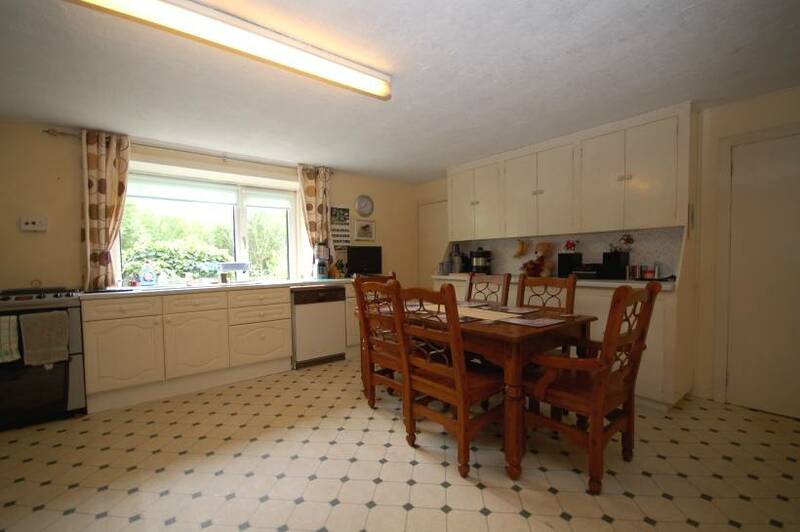 The property benefits from Double Glazing and Central Heating and the area is served by mains water and septic tank with pumped sewer at the main road. There are also extensive stone built sheds outside. Entrance Porch: (14’9 x 7’8 approx) Giving access to the property the front Porch area offers an area which overlooks the open large front lawn. Reception Hallway: Welcoming Reception Hallway leading to the main public rooms and rear Hallway. Carpeted staircase and decorative balustrade leading to the upper bedrooms and attic space; front facing window; Radiator; vinyl flooring. Lounge: (18’6 x 14’7 approx) Exceptionally spacious main public room with open coal fire; tiled hearth and wooden over mantle. Front facing window; shelved alcove; ceiling coving; carpet and radiators. Door leading to the rear hallway and reception hallway. 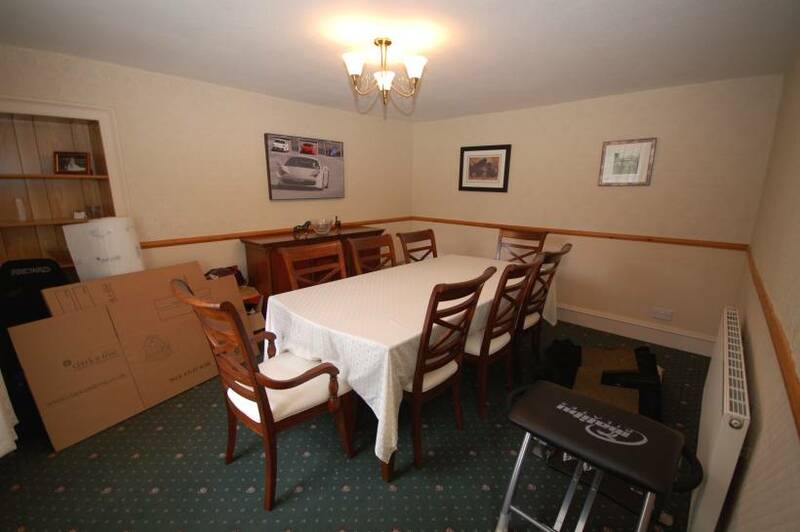 Dining Room: (14’10 x 11’9 approx) Well proportioned Dining Room overlooking the secluded garden; shelved alcove; carpet; dado rail and radiator. Rear Hallway: The Rear Hall runs the length of the property giving access to the downstairs Bedroom, Family Bathroom and Utility Room, which then leads to the Kitchen. 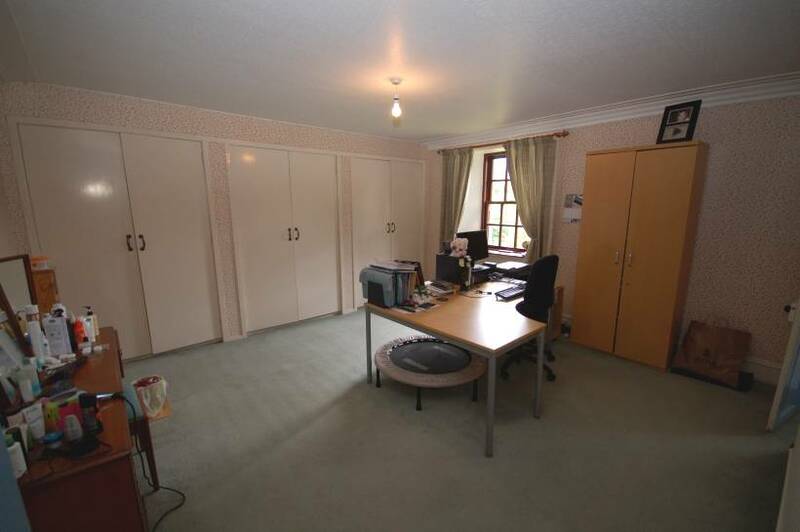 Carpet; side facing window and radiator. Bedroom 4: (13’5 x 8’11 approx) Spacious Bedroom situated to the rear, currently used as a laundry room fitted with shelving; vinyl flooring; radiator and two rear facing windows. 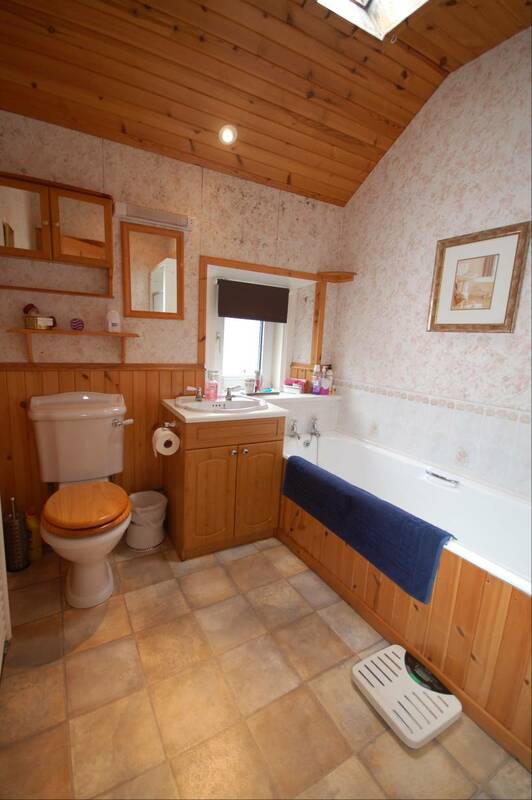 Bathroom: White three piece suite comprising w.c, wash hand basin set in vanity unit; bath with splash back tiling and separate shower cubicle; opaque rear facing window; Velux window; vinyl flooring; heated towel rail; radiator; pine lined ceiling and wooden wall paneling to dado height. Dining Kitchen: (17’1 x 14’10 approx) Exceptionally spacious Dining Kitchen with a range of wall and base units with coordinating work surface; asterite sink and mixer tap. Large window overlooking the front; vinyl flooring; radiator; two larder cupboards and ample space for freestanding fridge freezer. Access to Attic area above the Kitchen. Attic Area: (15’7 x 9’11 approx) Accessed off the Kitchen by a staircase leading to the Attic area with Velux Window. 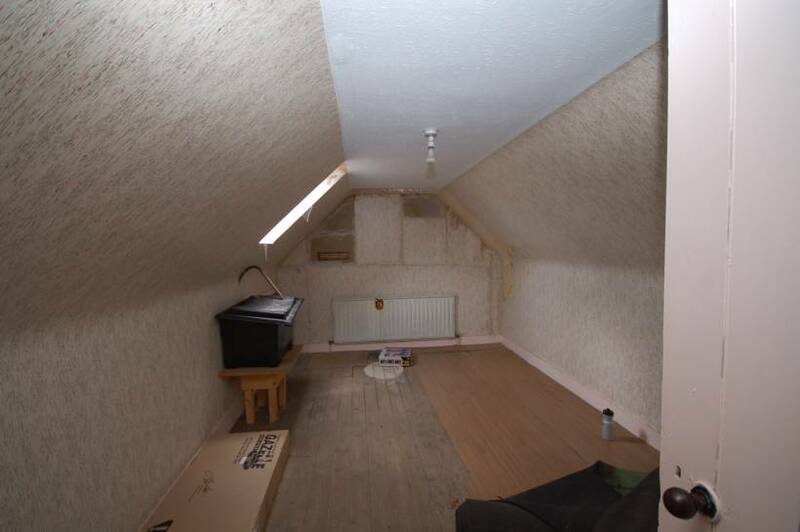 The Attic Room could be converted into a further Bathroom, En Suite or Study / Office area. Velux window and radiator. Utility Room: (19’3 x 7’7 approx) Spacious Utility Area leading to the rear Porch and Kitchen with rear facing window; vinyl flooring; radiator; rear facing window and sink set in vanity. Rear Porch: Leading to the rear and Boiler Room; ceramic floor tiles. Boiler Room: Previously used as the ‘staff quarters’, this now houses a boiler and w.c. Velux window. 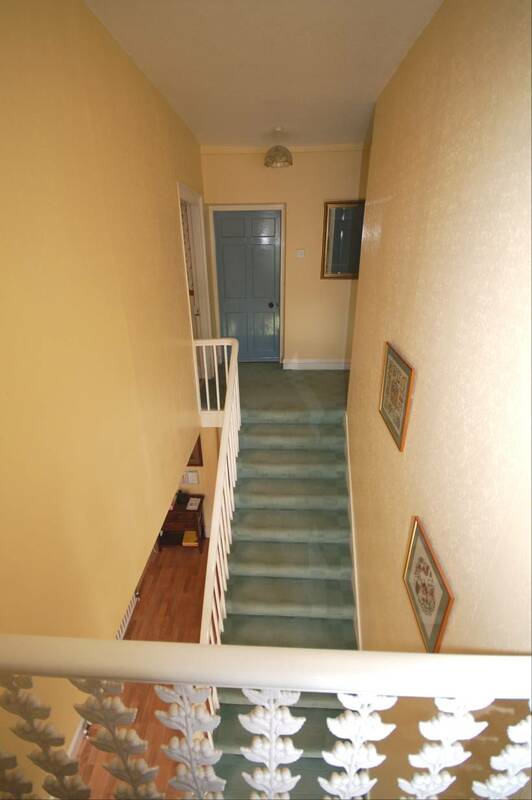 Access to the Upper Accommodation is from the staircase in the Reception Hallway which leads to the Bedroom accommodation and a further Attic Area. 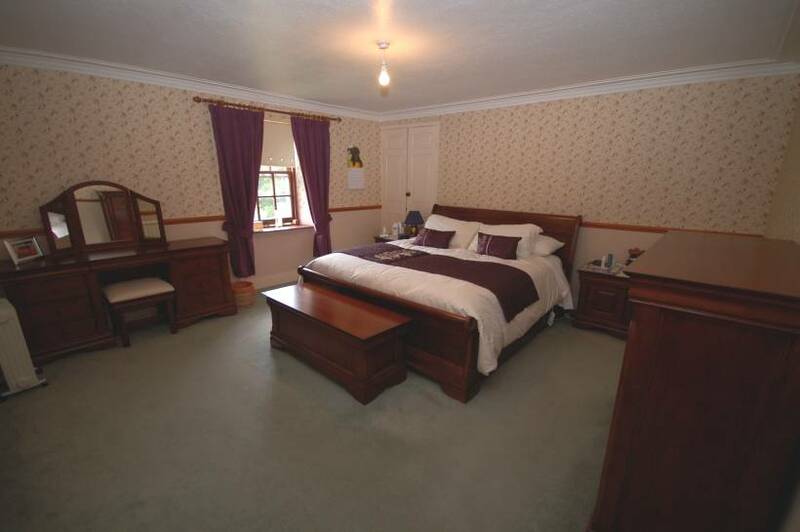 Master Bedroom: (14’11 x 14’8 approx) Generously proportioned Master Bedroom overlooking the front; carpet; dado rail; radiator; ceiling coving. 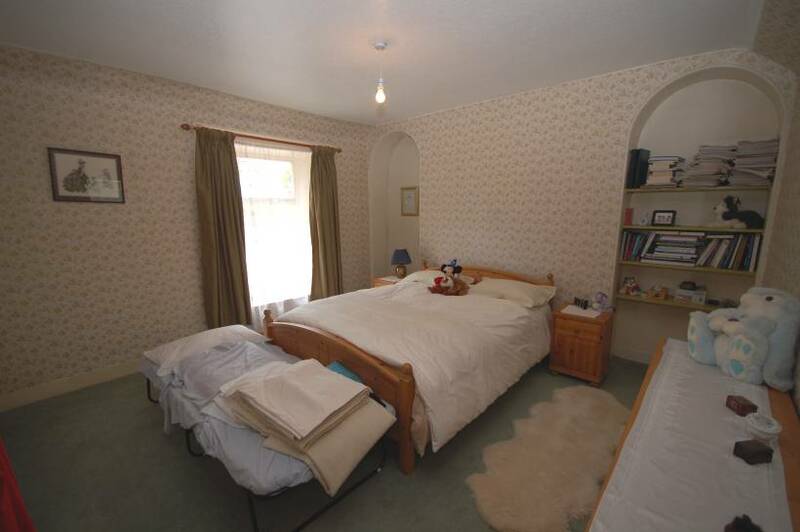 Bedroom 2: (13’10 x 13’1 approx) Double Bedroom located to the rear with side facing window; carpet; alcoves and radiator. Bedroom 3: (14’8 x 13’5 approx) Further generously proportioned Bedroom benefiting from triple built in double wardrobes; carpet; radiator; front facing window; ceiling coving and access to the ‘Minstrel’ gallery and large under stair cupboard. Attic Area: Accessed from the Upper Hallway the wooden staircase leads to two Attic spaces, both of which are approximately 14’8 x 11’11 with a Velux window and additional bedrooms could be erected from this space. 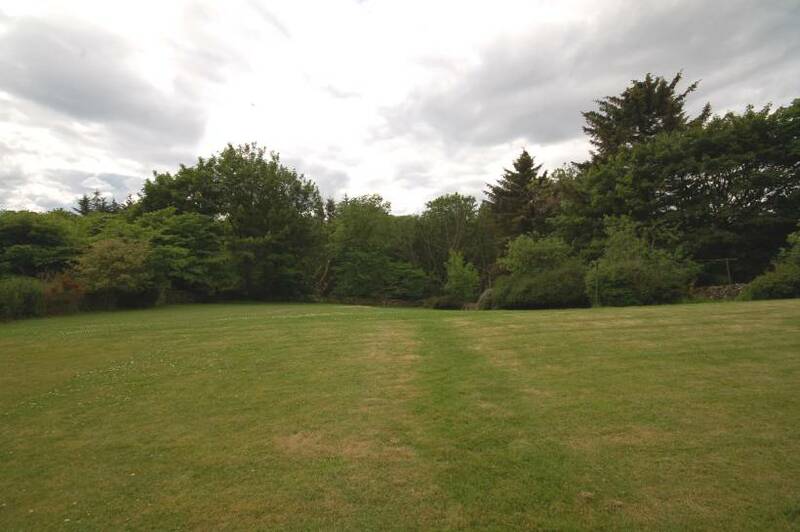 OUTSIDE Set in approximately two acres of ground and being surrounded by a mature plants, trees and shrubs set in the open countryside. The front garden is South facing and fully enclosed, providing an private space for various uses. Additional ground may be available by separate negotiation. DIRECTIONS From the centre of Aberdeen onto the Ellon Road past the B&Q roundabout heading out the dual carriageway to Balmedie; after passing the Strabathie and Blackdog take the left turnoff sign posted Belhelvie / Potterton. Do not take the Potterton turn off. A few hundred yards along after the road veers to the right there is a track road situated on the right hand side which gives access to ‘Home Farm’. The bungalow is situated close to the start of this track. The Farmhouse and the steading buildings are at the end of the track; the track is not required for other agricultural purposes. 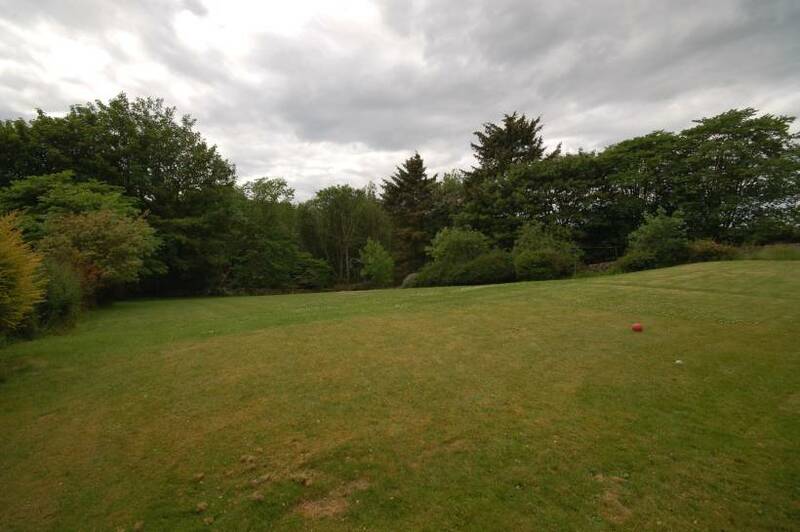 LOCATION Belhelvie is a small attractive village situated only some 9 miles from the centre of Aberdeen which is within easy reach by car or the regular bus service. The industrial estates at Dyce, Bridge of Don and Aberdeen International Airport are within a short driving distance, and the nearby village of Balmedie and Potterton offer a range of amenities including local shops, leisure activities with football, tennis courts, golf course and Balmedie Beach Country Park and Nature Reserve. Primary education is available at nearby Balmedie with secondary facilties being provided by Bridge of Don Academy.The highly acclaimed golf centre at Trump International is also within easy reach, as are other challenging golf courses at nearby Newburgh, Cruden Bay, Murcar, and Balgownie.